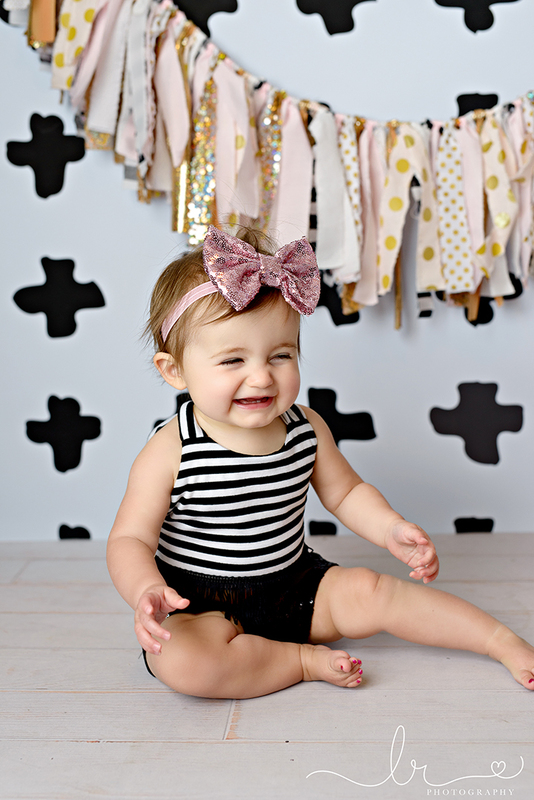 Oh Bella you are just too cute!! 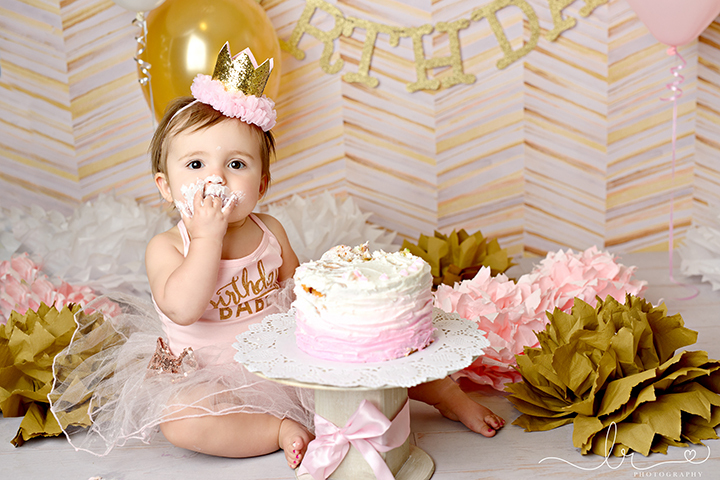 I've taken Bella's newborn, 6 month and 1st birthday pictures! 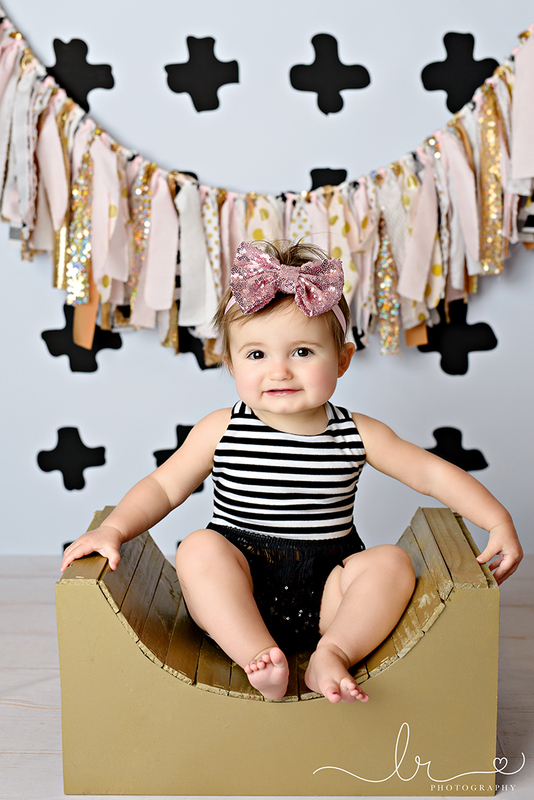 I have loved seeing her grow up from behind my camera. 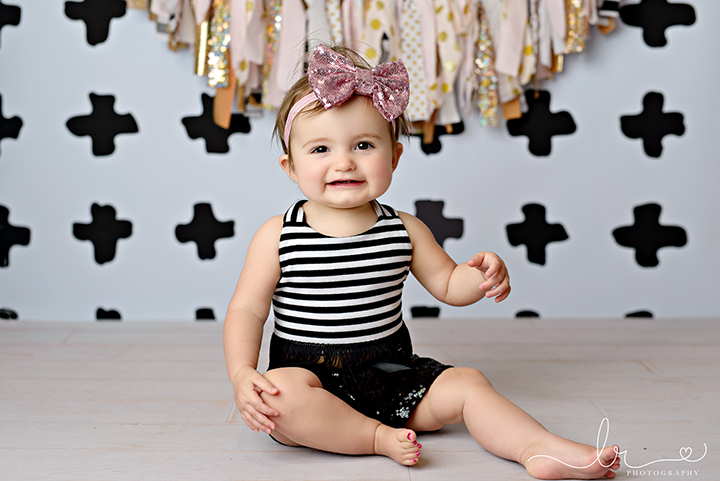 She has the cutest personality and the nicest family who adore her. 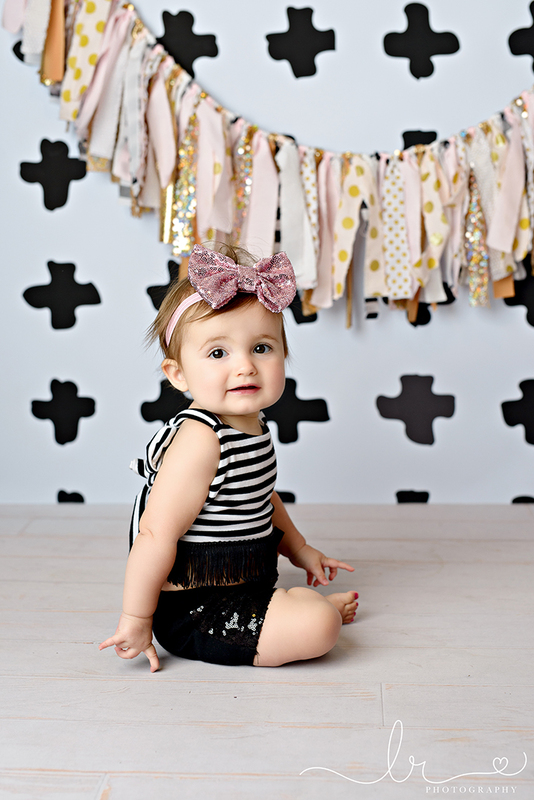 Bella's nursery is pink, gold and black so it was fun to do a setup or two that would be perfect to hang up her pictures in her room. 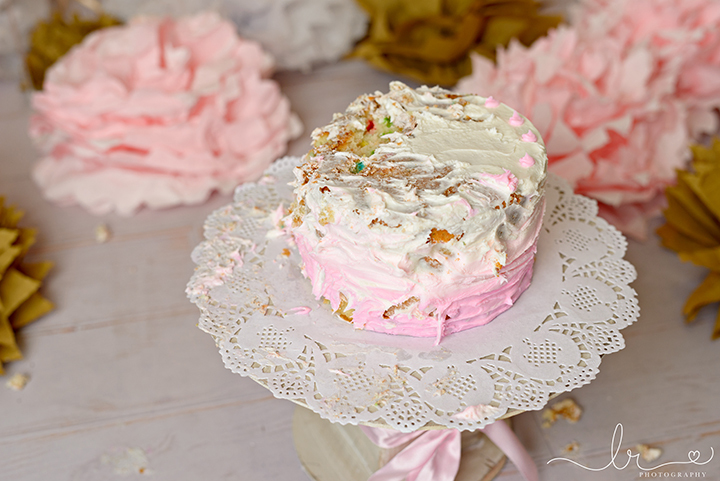 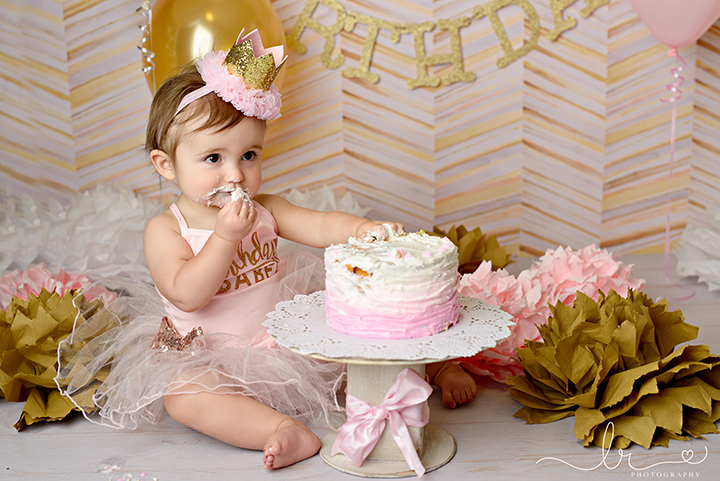 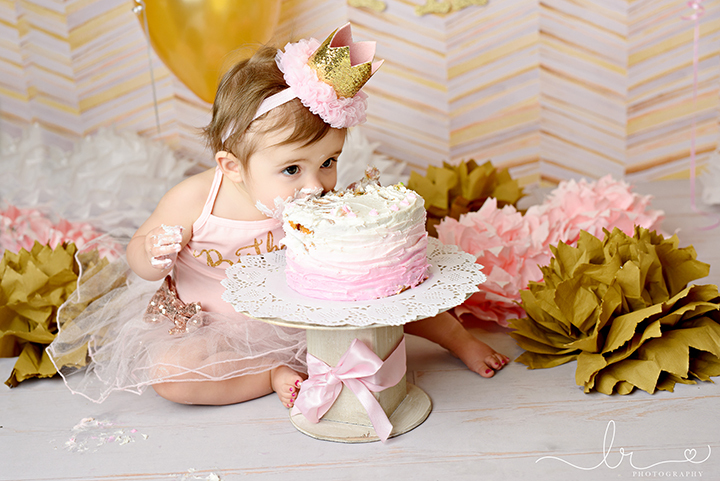 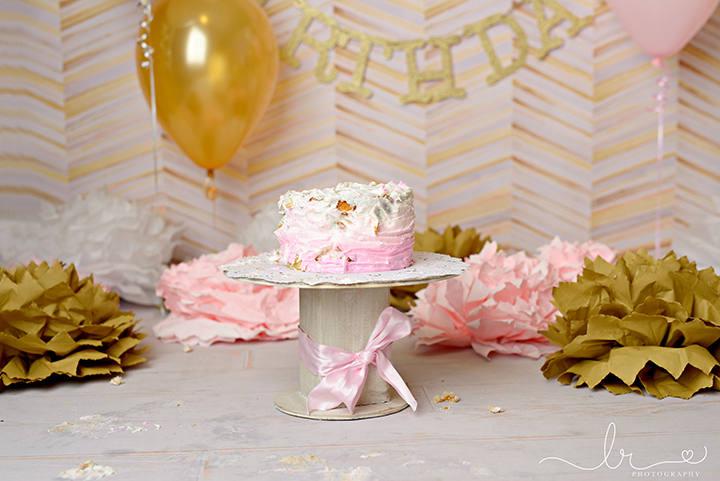 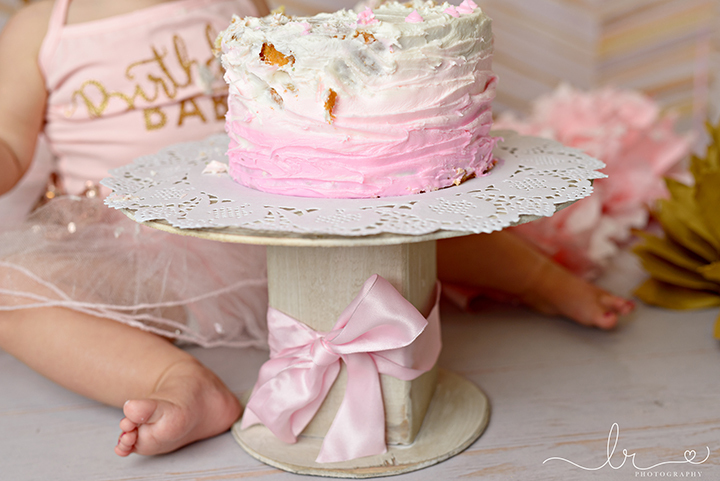 She had a pink, gold and white birthday party so her cake smash was perfect to prep her for her big 1st birthday party! 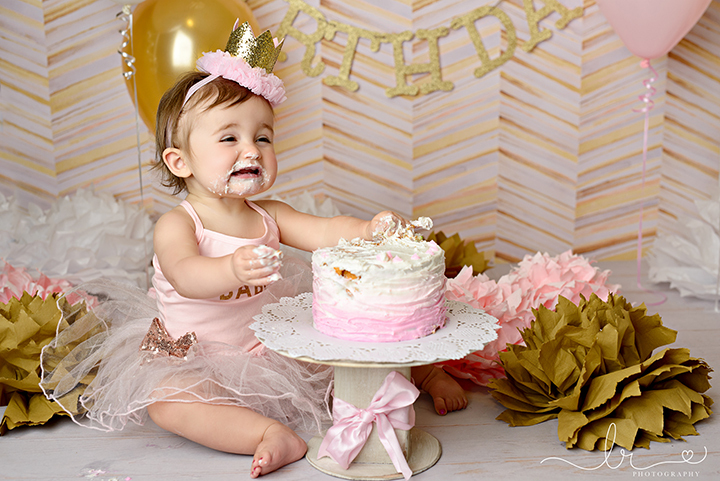 She loved the cake smash part of the session, just wait to see how much she loved it! 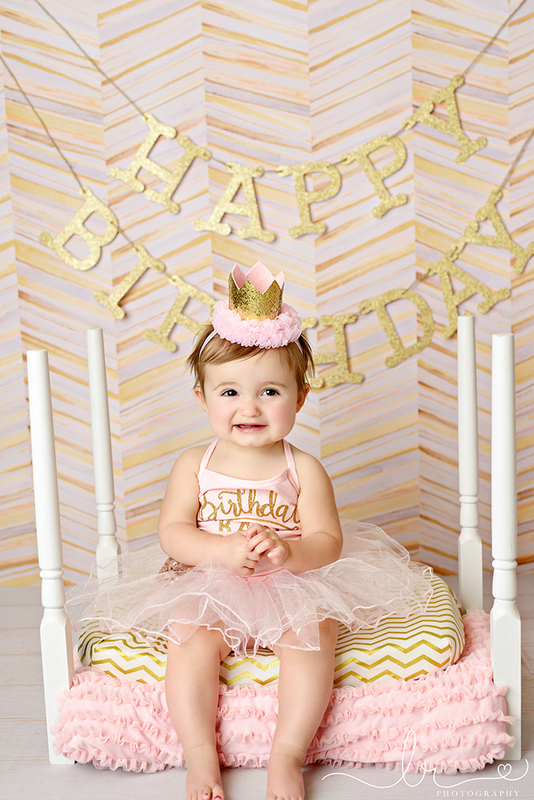 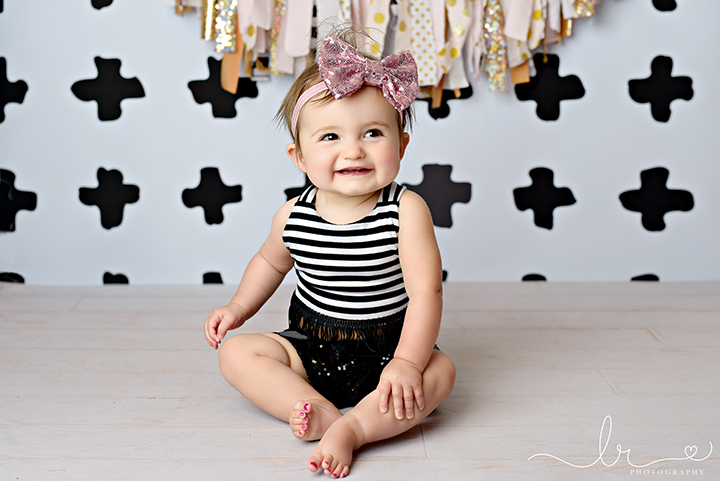 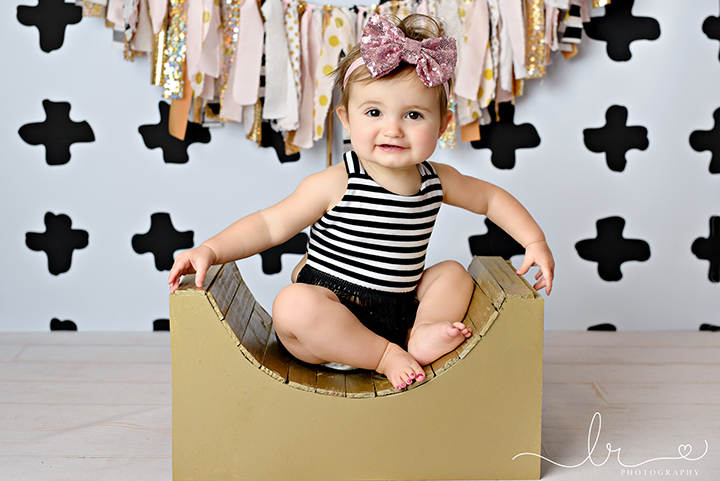 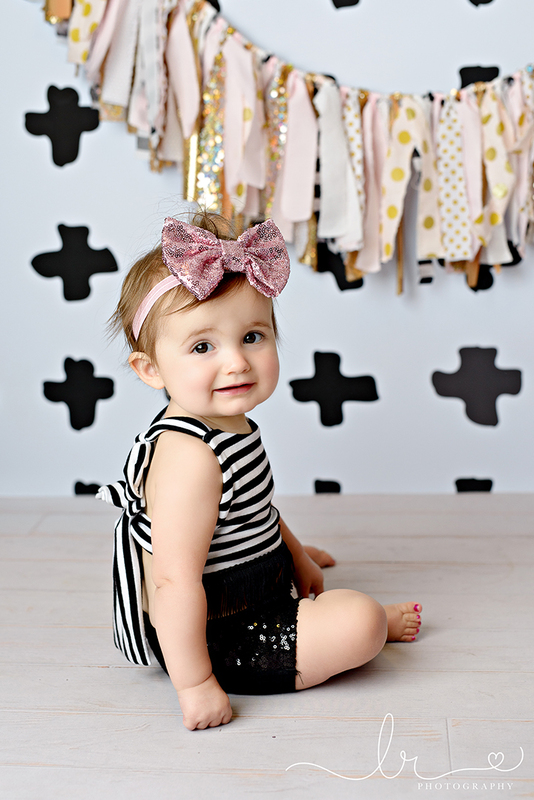 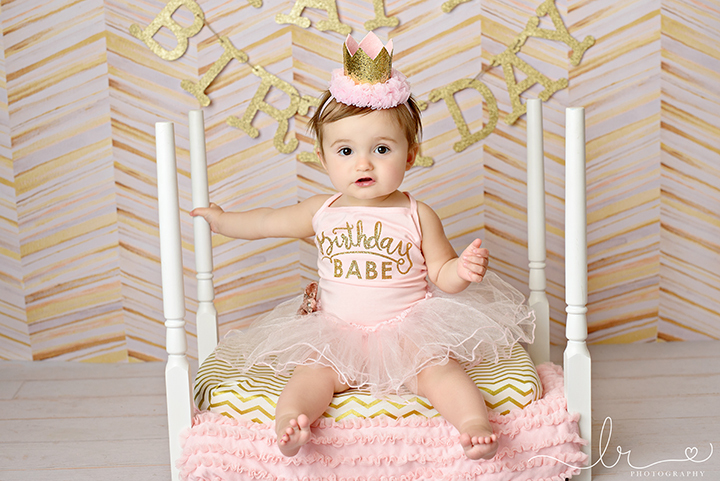 1st birthday pictures are so much fun and I have loved every minute of getting to take pictures of this cutie! 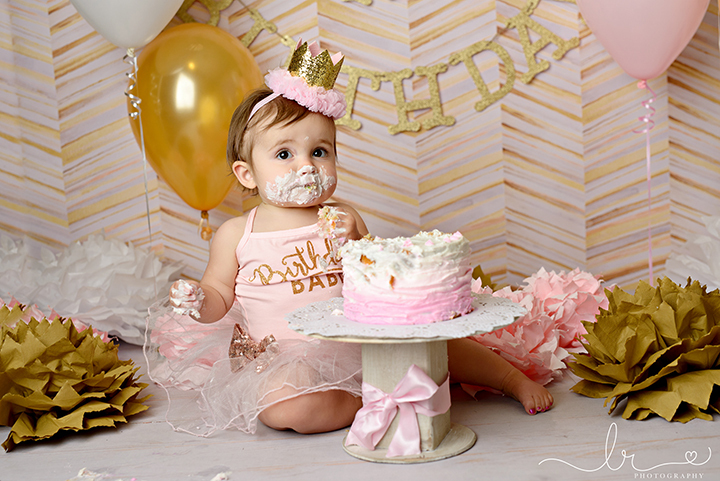 Awesome first birthday party! 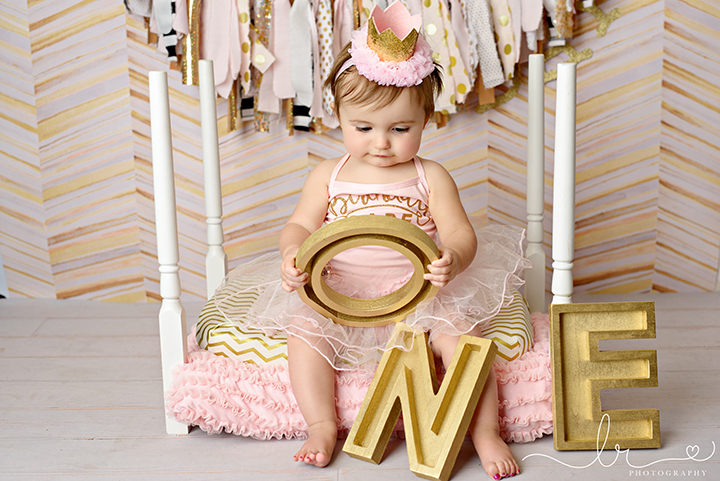 I can completely relate it to your passion of arranging events. 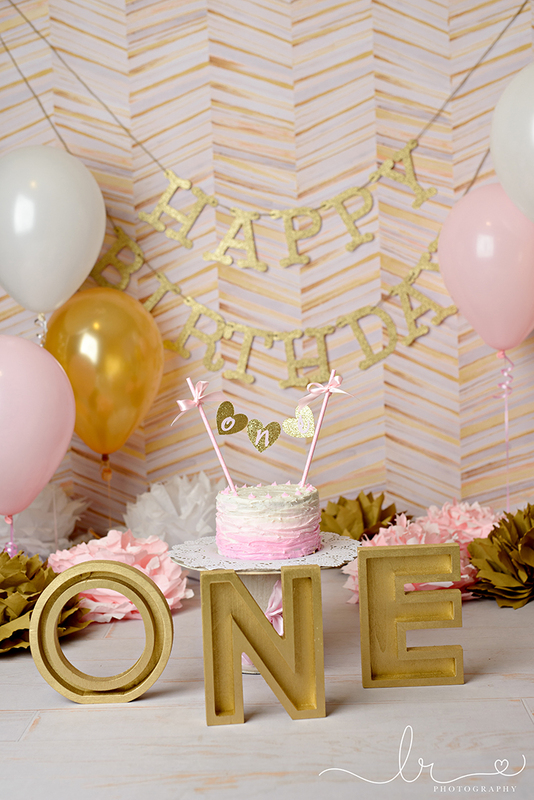 I am impressed to know about this Ultimate party. 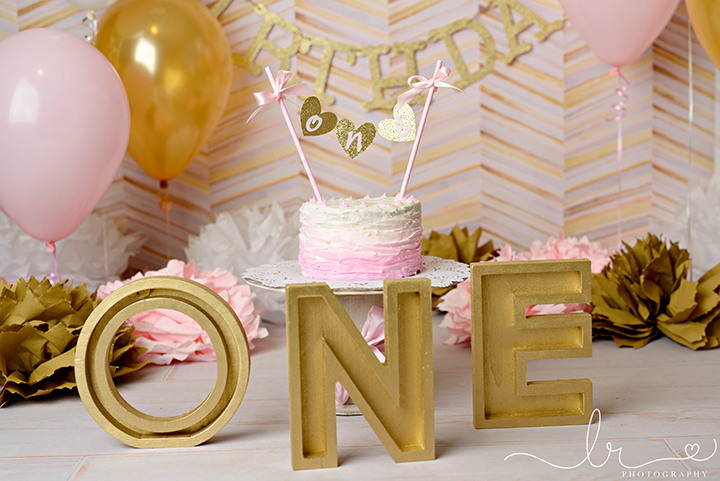 I attended a huge party last month at local party venues and it was as exciting as this one.